The soft faces of our premium quality 2 oz. 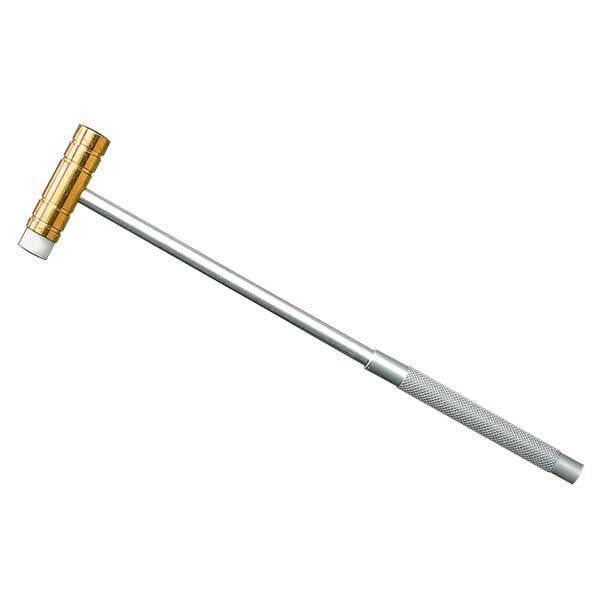 Toolmaker's Mallet prevent the surface scars and dents that can result from striking metal parts. The mallet has a machined brass head with a 9/16 inch dia. striking face on one end and a 1/2 inch dia. hard-plastic insert on the other. The light weight, easy-to-grip knurled aluminum handle lets you apply the striking force right where you need it -- out at the striking face. Overall length 9-1/2 inches.